A portfolio of twenty sketches inspired by The Rite of Spring*2 held an immediate attraction for the Ateliers d'Art. 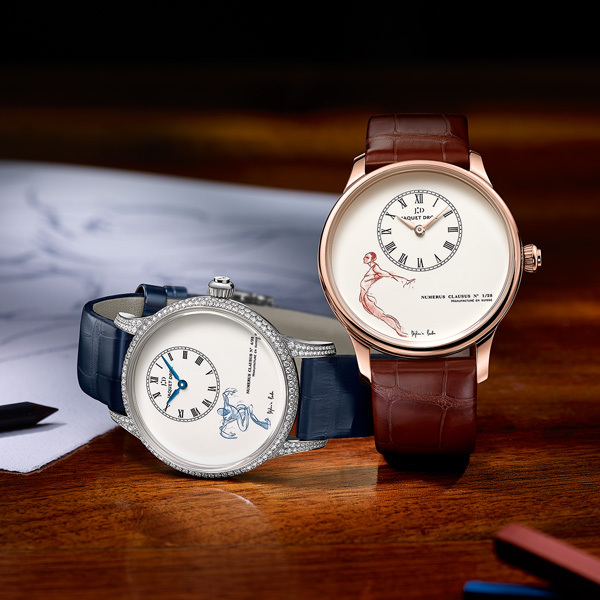 The brand's artisans selected two. 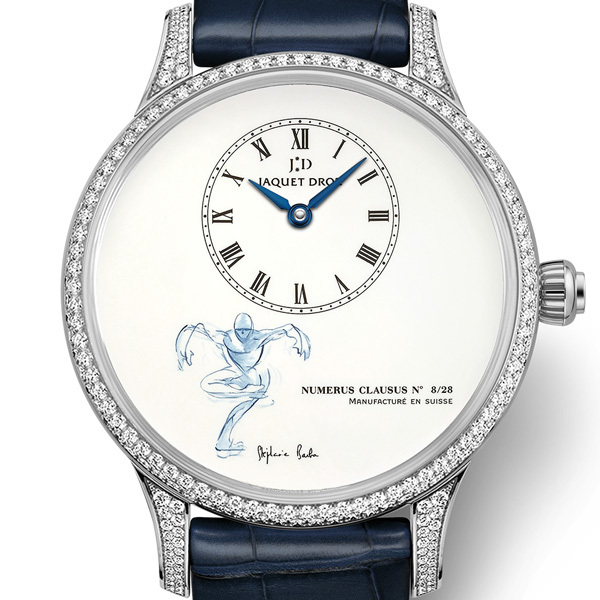 Ivory Grand Feu enameled dial. 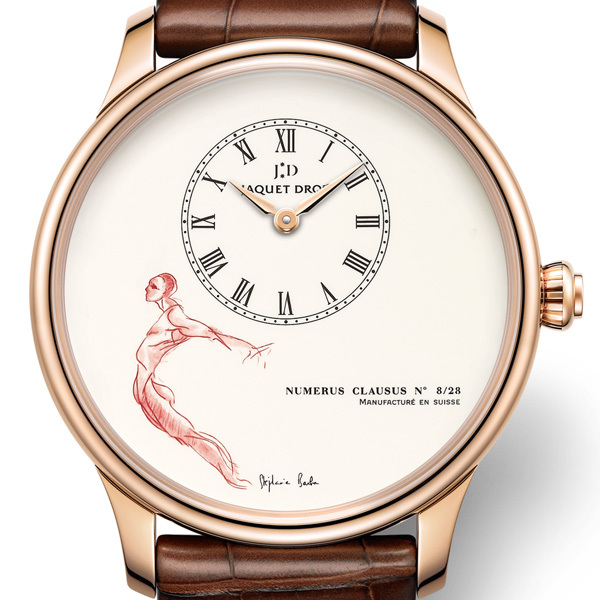 18-carat red gold case. Self-winding mechanical movement. Power reserve of 68 hours. Diameter 43 mm. Numerus Clausus of 28. 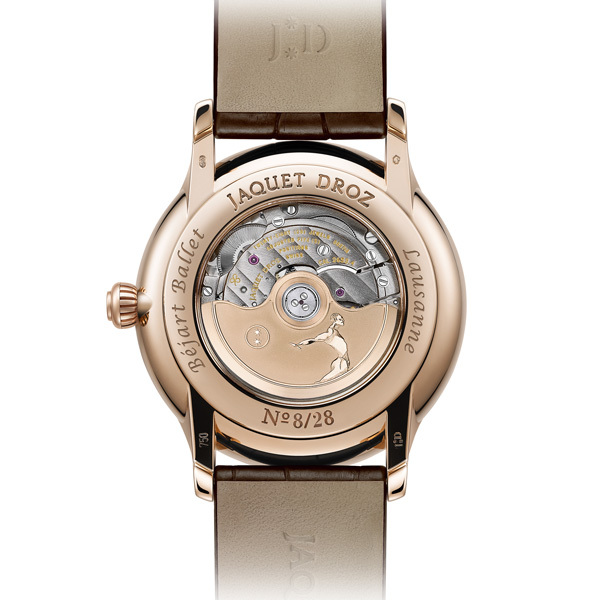 Jaquet Droz 2653, self-winding mechanical movement, double barrel, 22-carat red gold oscillating weight hand-engraved in relief with "Le Chef" motif. Ivory Grand Feu enamel with painting in miniature. 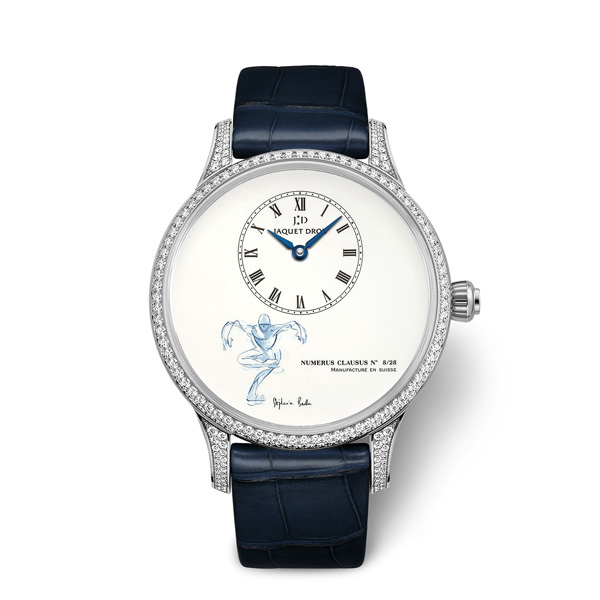 Ivory Grand Feu enameled dial. 18-carat white gold case set with 248 diamonds, ardillon buckle set with 24 diamonds (total of 1.99 carats). Self-winding mechanical movement. Power reserve of 68 hours. Diameter 39 mm. Numerus Clausus of 28. 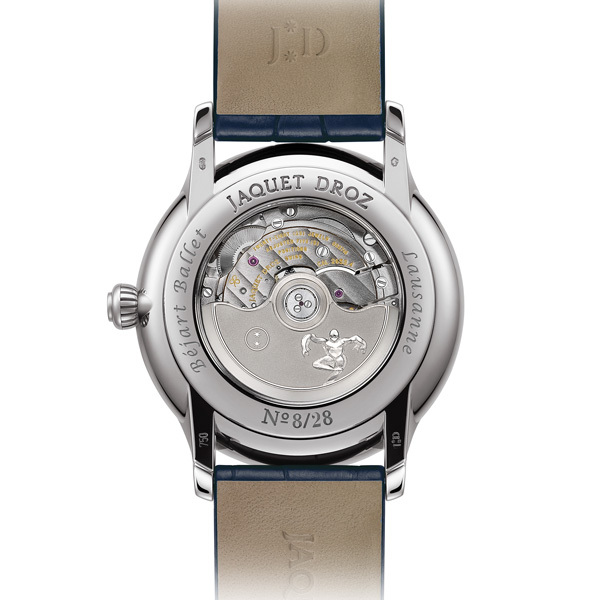 Jaquet Droz 2653, self-winding mechanical movement, double barrel, 22-carat white gold oscillating weight hand-engraved in relief with "Le Vautour" motif.